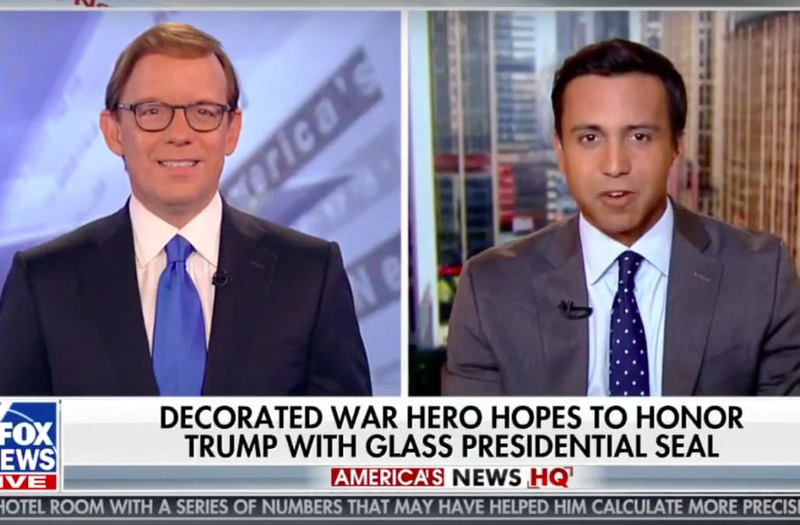 On Sunday October 8, Fox News ran a story about John Garofalo, a glass artist described on air as a Vietnam veteran and “highly decorated Navy SEAL” — unfortunately, that all turned out to be fake. The network was forced to issue a lengthy retraction of the entire piece Thursday, admitting that the story was bogus and they had been duped. A Fox News representative declined to comment on whether there would be any disciplinary measure taken or newsroom safeguards put in place to prevent similar mistakes in the future. The original piece, presented by reporter Bryan Llenas, painted Garofalo as a sympathetic uber-Trump patriot and glass artist who was coming out of semi-retirement to make a customized presidential seal for his hero. At the end of the story, the channel even made an open appeal to the president to accept the gift. With Fox News now regular viewing in 1600 Pennsylvania Avenue — he very well might have been.